Available in four distinct lens colours (Copper/Green, Blue/Grey, Yellow, and Copper/Flash), the X10s are designed with a smaller frame design than the V10 model, but still retain total eye protection from the elements. 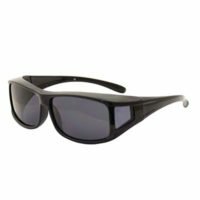 These sunglasses utilize outstanding polarized optics and polyamide lens technology to dramatically reduce surface glare and refraction from the water surface. Copper/Green: Copper/Green coloured lenses are a great optic solution for a range of light conditions. 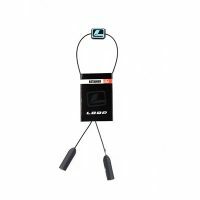 These lenses are very effective in medium to strong light and are a firm favourite with river and still-water fly fishers as they enhance distinct contrast without noticeable colour distortion. Grey/Blue: Grey/Blue lenses are excellent at maintaining true colour definition through the polarizing filter. 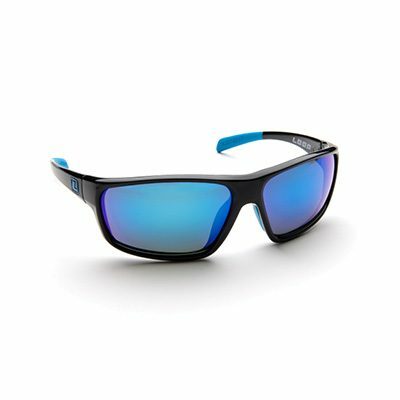 These lenses are very effective in bright sunlight conditions and also prevent the wearer suffering eye strain and fatigue in intense reflective light conditions on flats, rivers and lakes. Copper/Flash: Copper coloured lenses are a great all round solution for a range of light conditions. Like the Copper/Green lenses, they are highly effective in medium to strong light conditions. A firm favourite with river and still-water fly fishers as they enhance contrast without noticeable colour distortion.